We are a small dynamic business and our highly experienced joiners and experts floor fitters are some of the best the trade has to offer. Over the past 20 years we have gained a vast amount of experience within our industry and specialist skill set. This experience and knowledge helps us achieve high end finishes on each and every job, we do not stand for mistakes and we are always learning and moving with the times. As fully qualified and experienced joiners and floor fitters you will receive a custom perfect fit specific to the requirements of your home or property. Using our specially selected tools, equipment, trade products and vast knowledge your hardwood or engineered floor will be installed wall to wall without gaps, bumps or holes. Your fitted product has a 1 year fitting guarantee. Depending on the product selected for fitting you have an extended manufactured of warranty of around 20 years.Our floor fitters are available for both domestic and commercial hire across Glasgow, surrounding towns. 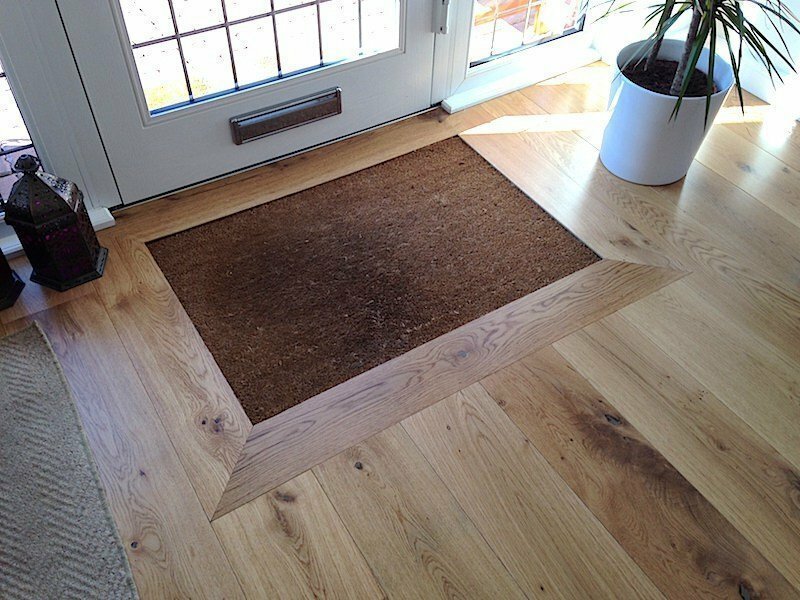 Not having any personal contacts to recommend who should fit my oak wooden flooring - all my upstairs area which comprised top hall, 4 bedrooms and also my staircase and bottom floor entrance hall I searched internet and read reviews. I decided to try Fergus at FM - joinery . I made a great choice. Fergus kept in touch through the process . Once I decided on the wood I sat back and FM joinery ensured its order, delivery and fitting. The workmanship is excellent and I am delighted with my floors. I have no hesitation to highly recommend FM Joinery. You will not be disappointed. Fergus laid 37 sq m of engineered oak flooring for us, across 2 adjoining rooms. The 18mm thick flooring was nailed onto the existing wood floor. The whole job took less than 2 full days. We’re very pleased with the whole experience - from response to initial enquiry through to the end of the job. We had helpful advice and a firm/agreed date for the work. We wanted the flooring underneath the skirtings for a quality finish. On Fergus’s advice, we opted for cutting (in-situ) 18mm of the bottom of the skirtings, rather than removing and replacing them. This was an excellent solution - a neat and tidy fit for the flooring, no damage to paintwork and no damage to wall plaster. The flooring itself was laid quickly and professionally. The attention to detail was impressive - all areas, even the hidden/fiddly bits in difficult corners and around radiators were all fitted to the same high standard as the main areas. I’d say the overall price was fair/reasonable - it was in line with quotes from other more local joiners (all of whom we had concerns about - related either to quality or reliability, or both). We were so pleased that we'd noticed the website for FM Joinery. We had 2 rooms floored and the quality of the work was excellent. Fergus arrived early, worked consistently throughout the day and provided helpful advice regarding the care of the wooden floors. We can't recommend highly enough - would definitely use this firm again. I had all of my floors done by this company a few months ago and I am extremely happy with the outcome. I can’t recommend them highly enough. They were highly skilled but also very nice people. If I move again I will be contacting them again to do my floors. If you require flooring don’t go anywhere else as this company is the best. Fergus installed a long wooden baton and curtain rail pole in my living room. Although a small job, I was very happy with all aspects of service: quick response to my original query, good communication throughout, no problems with sourcing raw materials, reasonable quote, turned up on time, good at tidying up afterwards and I am very happy with the quality of the work carried out. I would definitely use FM again and I would definitely recommend them. Fantastic work and nice guys. Top guys. Great communication. Fergus and Jim arrived early and installed engineered flooring to a high standard. They worked quickly and left the place tidy. Work was quoted previously and final bill was as expected, with Jim even offering a discount as part of the job wasn't as tricky as expected. They have offered to come back if there are any issues with the floor too. Thanks guys, will definitely be recommending you to friends and family. Fergus fitted our herringbone floor throughout the hall, living room and dining room. The quality of the work exceeded our expectations and he helped us source a high quality wood. From first contacting Fergus he was really quick in coming back to us and kept us fully updated with timescales. His pricing was clear and concise. The project remained within budget was completed to schedule. We couldn't be happier with the finished result. Fergus completed many jobs for us over the years. He works hard ( brings his own lunch ) and tidies up at the end of each day. His work is always finished to a high standard and pays attention to detail. Would definitely recommend ! 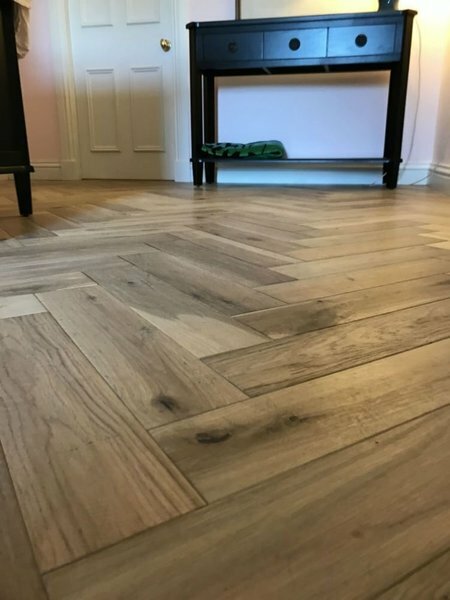 I have just had Fergus and Jim install a Herringbone Wooden Floor,their work was exemplary could not fault them,nothing was a bother for them and we would highly recommend them for their service and work done. Would recommend! Quick at replying to enquiries. Fergus came to lay flooring for my new house. His work was done to a very high standard. The quality and attention to detail was excellent. Particularly with flooding done on our stair case. I was really impressed. Plan to use Feegus’s services in the future.